During the week, Shawn Myers is the mild-mannered (well, kinda) Director of Purchasing for a large manufacturing company. On the weekends, however, he straps on a parachute and becomes the friendliest, most jovial, kindest instructors and ringmaster the sky has ever seen. And he doesn’t even need a phone booth to perform the transformation! How’s that for magic? For our WSC community, the most magical thing about Shawn is how he came to find us in the first place. Even though he’s a cornerstone of our “family” now, Shawn readily admits that skydiving had never really come up on his radar before he came out to visit our dropzone at the age of 41. He’s always been an adventurer, mind you: He’s climbed all of the tallest mountains in the continental US; he’s kayaked in the ocean; he’s lived all over the country. For all of that, he’d never seriously thought about jumping out of a plane. “I didn’t really, like, want to skydive,” Shawn laughs. “I hadn’t ever really thought much about doing it. But I was going through a pretty unique situation in my life. I had been recently divorced, and at the same time I was graduating from college. I didn’t go to college early in life; I started college when I was 37. In less than a month, Shawn was a certified skydiver. He’s never looked back – and he can tell you exactly why. “I think sometimes we don’t find skydiving; it finds us in some way,” he muses. 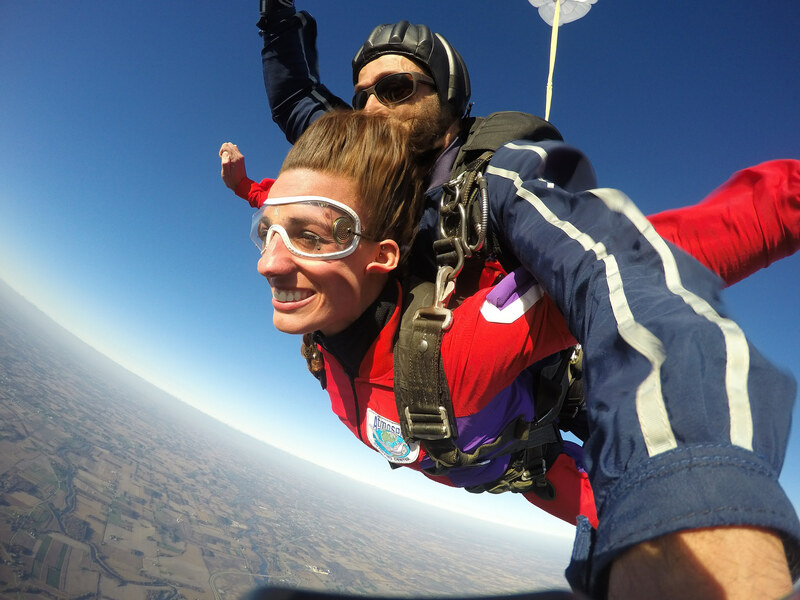 When skydiving “finds us,” as Shawn puts it, the other thing that finds us is the greater skydiving community. For many people – and for so many of the folks who return to WSC for jump after jump after jump – the community is the element that keeps them magnetized to the sport. 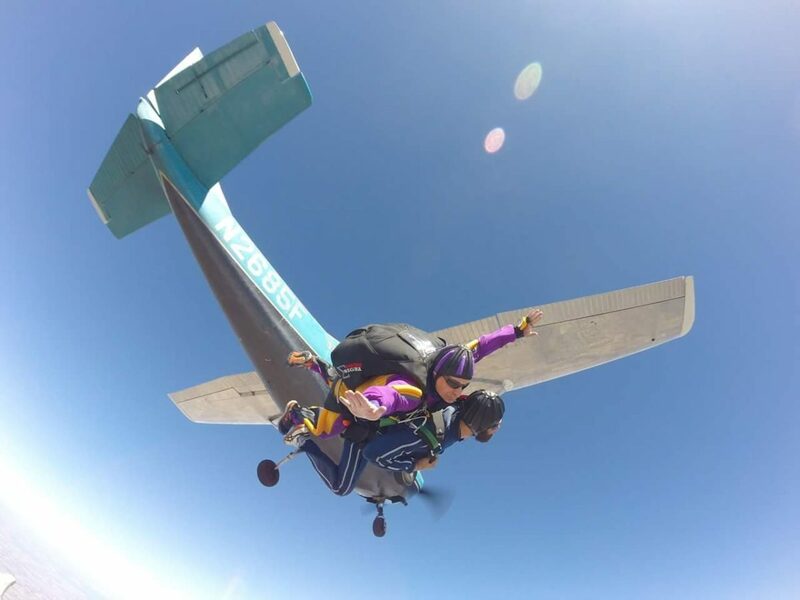 Shawn has loved meeting people from all over the world in the context of skydiving – all hailing from vastly different racial, ethnic, economic and social backgrounds – coming together here, on the dropzone, for the love of jumping. 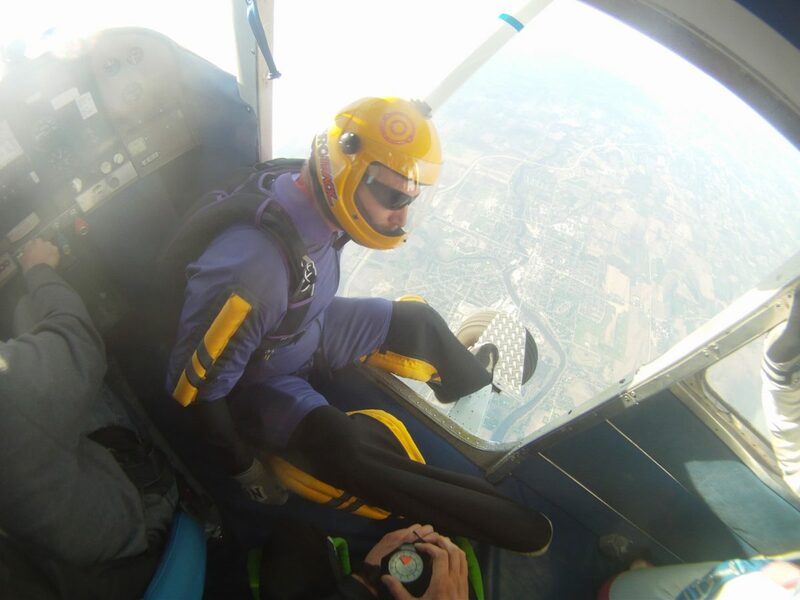 Shawn insists that skydiving has enriched his life enormously, and he loves to share the wealth of that wisdom. 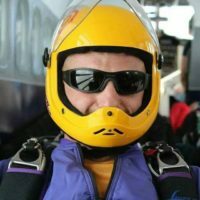 Like the rest of the instructor team at the Wisconsin Skydiving Center, Shawn feels most at home when he’s teaching, whether that’s in the sky or on the ground, in our legendary ground school for new students. A dedicated family man, Shawn lives in Madison’s gorgeous Arboretum with his wife and three children. Book your tandem skydive today, and meet tandem instructor Shawn and the rest of our skydiving family at the dropzone.